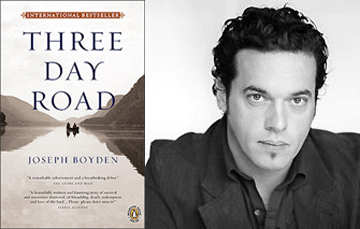 At our October meeting we'll be discussing "Three Day Road" by Canadian author Joseph Boyden. Set in the late 19th century and during the First World War, the novel revolves around the lives of two young Cree men who become snipers and scouts in the horrors of trench warfare and of the aunt of one of the two, who goes to pick up and bring home her nephew, who returns from the front without a leg, with a morphine addiction and with many battle scars, both physical and existential. Where: Piazza Vittorio area -- exact address sent to confirmed participants by email.